This offer is available in store and online and ends on 21st August 2012. This includes the milkshake tubs ,450g (12 meals) which are priced at £4.95 to £6.00 each. Flavours include strawberry, caramel, chocolate & banana. Slim-fast Chocolate Caramel Snack Bar 26g at 47p each. Slimfast Cheese Bites 22g at 49p each. All priced at £4.98 a box. Slimfast Ready To Drink Banana 325ml. All bottles priced at £1.55 each. 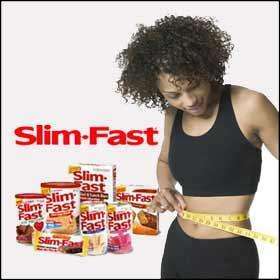 If you go to sainsburys.co.uk and type in Slim Fast it will find all of the products. I have posted the link to the site but I know this sometimes times out after a while. A lot of these products are also on offer at Waitrose, with per item reductions rather than multibuys. Works out pennies cheaper at Waitrose, funnily enough. Another option, it's pretty much the same deal overall.